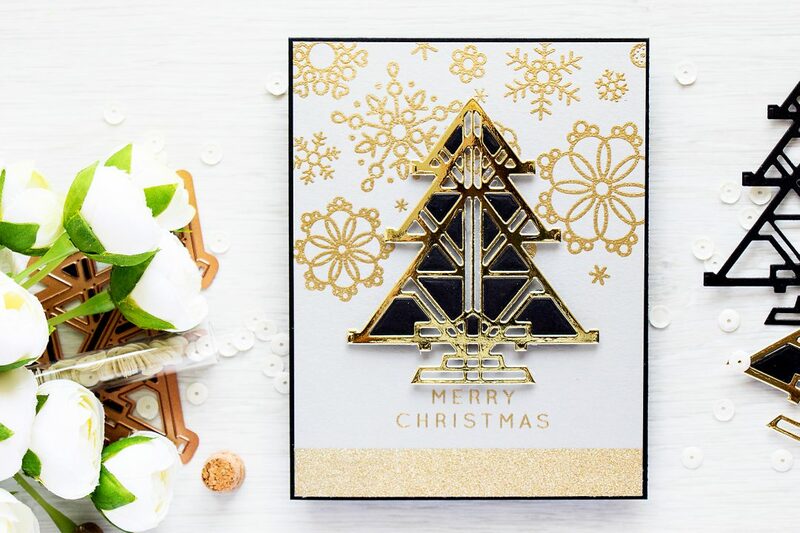 I am absolutelly in love with Spellbinders Art Deco collection from last year and I was very excited to see an Art Deco Christmas tree released this summer. Not your traditional tree, very unexpected but oh so fabulous. 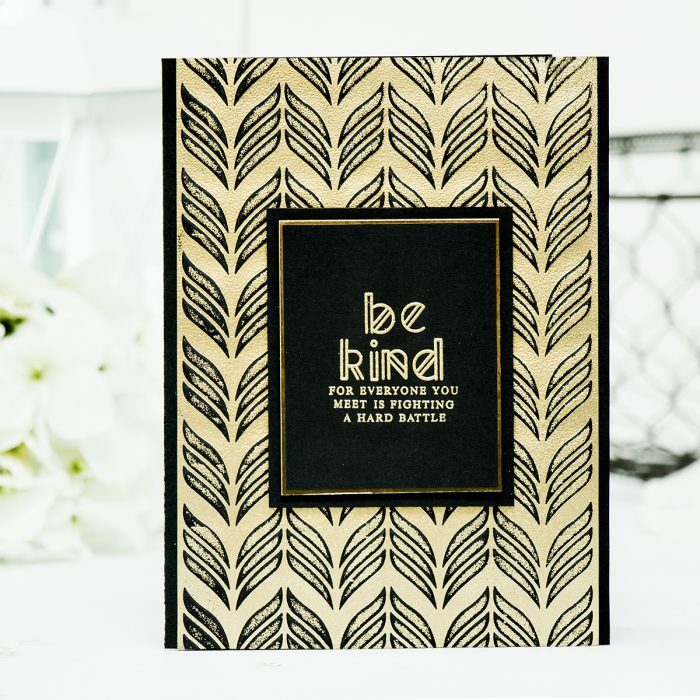 If you are a fan of Art Deco style I think you’ll enjoy playing with this die. 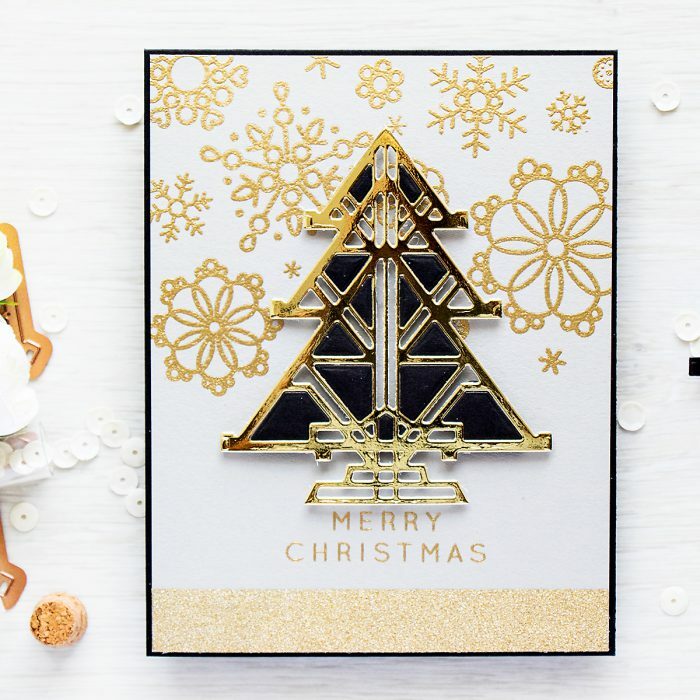 There are two tree dies included in the Art Deco Tree set, I used the larger one and I cut it out of my favorite gold foil (or gold mirror) cardstock. I’m linking to a few different sources where you can get this kind of paper. I wanted to do some inlaid die cutting, so I also cut this tree out of black. In my opinion, black and gold look fabulous together. 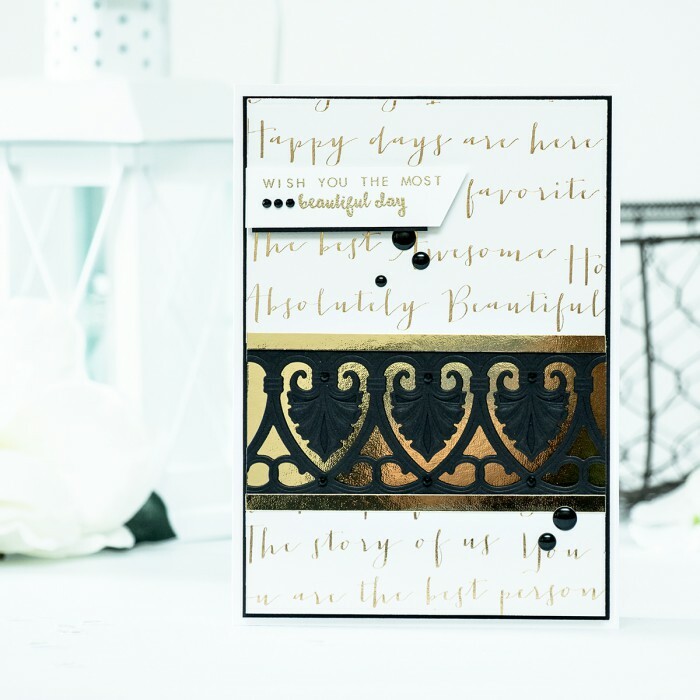 Be sure to check my video for easy inlaid die cutting tutorial. I’m sharing a rather quick method for inlaying. 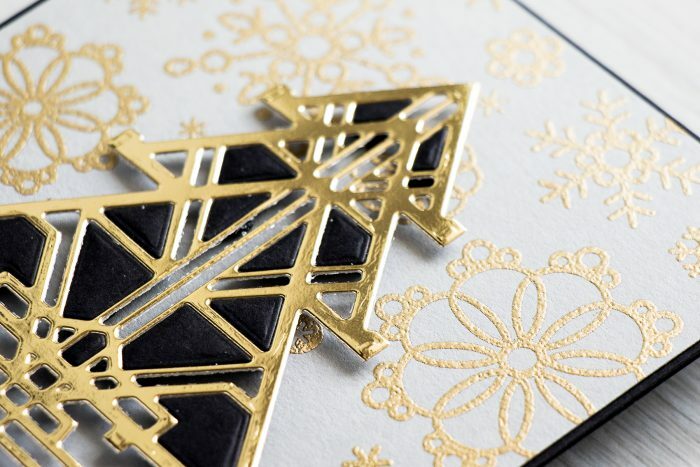 I created a snowflake heat embossed background using gold embossing powder and Simon Says Stamp snowflake stamps and foam mounted my die cut tree on top for a pop of dimension. I also added a strip of gold glitter paper at the bottom of this panel. Omg.. Art Deco Christmas tree!!! This is so cool!!! 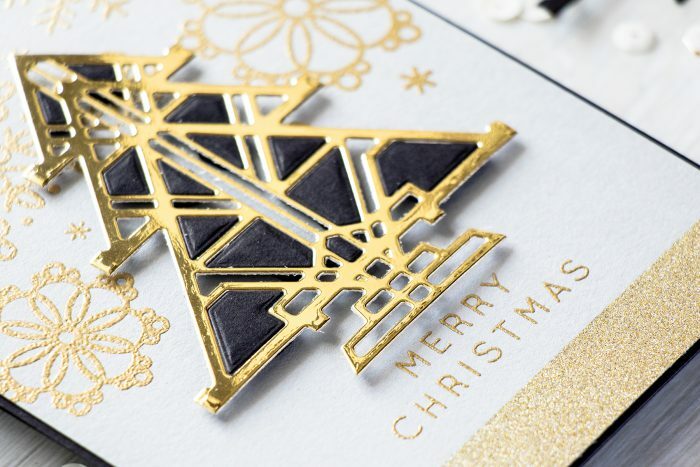 A great technique and beautiful cards!